I’ve had a chance to experiment a bit with the latest beta version of the upcoming WordPress 4 release. It’s safe to say that users of recent versions of WordpPress 3 will make an easy transition to WordPress 4. There are no radical design departures. It’s minor feature updates and user interface improvements. In a way, the major version number change to “4” is a bit of a misnomer. The leap from 3.9 to 4.0 feels very much like a minor release. And I am entirely in favor of that. Sometimes software releases get ahead of the users, who are still struggling to digest changes from the last major version of their favorite software, when the next new version is already out. This is particularly true in commercial software, where corporate revenue and profit demands often drive release cycles, rather than user needs. 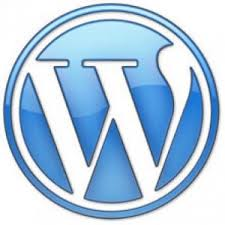 While WordPress has become a mainstay in commercial web publishing and website development, it remains general public license software, developed by a community of developers. It marches to its own beat, one much more likely to be in synch with user needs and requests. For ZJS Technology clients, I’ll wait until the general release of WordPress 4 has been well vetted by early adopters, and then begin updating client sites.